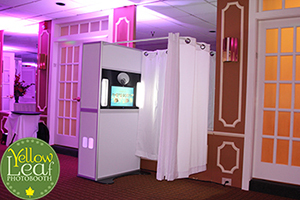 Professionally engineered from the ground up to provide users with a full featured photo booth experience the Yellow Leaf Photo Booth is modern, sleek and a Real Photo Booth. Close the curtain and enjoy the moments captured like no other Photo Booth. Nothing helps people have fun like our premium prop selection. Always wanted to be a Pirate? Maybe a superhero like Spiderman? Always wished you had a Handle Bar Mustache? Or maybe you just feel like bringing out your inner Pop Star? We have you covered! Our Included Guestbook / Scrapbook allows your guests to keep one copy of their photo while the other copy is placed in a scrapbook where the guests can write you a message. 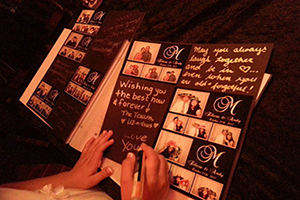 You get the scrapbook with all your messages and images the day of your event. You and your guests can use the Photo Booth as many times as you wish and take home lots of Awesome Full Color and Black & White Photos! 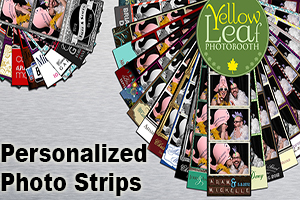 Our customized photo strips print in just 15 seconds. Choose from the classic 3 or 4 picture double photo strip or our gorgeous full 4X6 layouts. 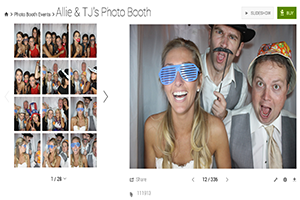 Guests can email their pictures directly to themselves from the photo booth and upload to FaceBook, Twitter, Instagram, etc. 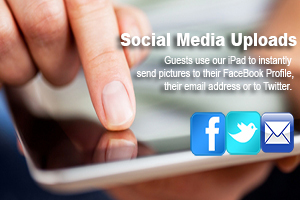 #hashtag your event so guests can keep up with all the fun or for branding purposes. 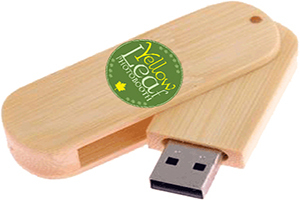 USB Drive full of all the high resolution photos taken during your event. Royalty free so you can do whatever you wish with them. Provided to you the day of your event. 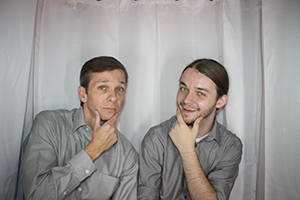 Professional, fun and masters of all things Photo Booth related. 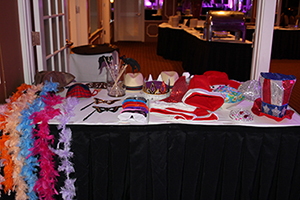 Our Photo Booth super heroes will help to ensure all your guests enjoy the fun by assisting with the scrapbook, pose ideas, prop organization and making sure everyone is having the time of their lives. 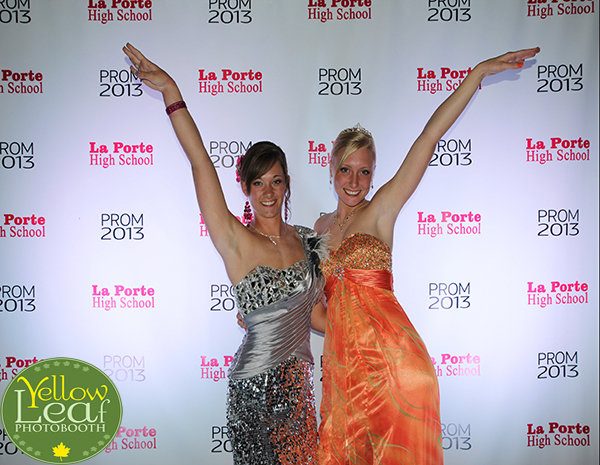 Images taken during your event will be hosted on our online photo gallery. Wish for it to be password protected? No problem, we’ve got you covered. Guests can view and download their full size high resolution photos free of charge directly from the gallery. Tag to FaceBook and Twitter as well. Wish for certain photos not to be shown? No problem, just let us know. 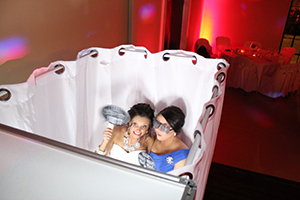 Add extra time to your Photo Booth Rental. We bring the red carpet along with a custom backdrop that we design just for you (with your name, monogram, wedding date or logo and sponsor logos). The pictures are printed on-site for your guests as they are taken, uploaded to our website for viewing in minutes, or edited for press release. Its your choice and we do it all, turnkey.